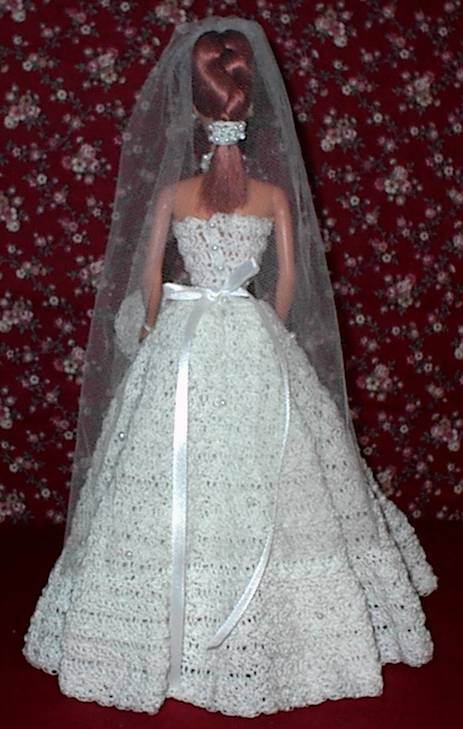 Comes with gown, headpiece & veil, bouquet, doll and doll stand. 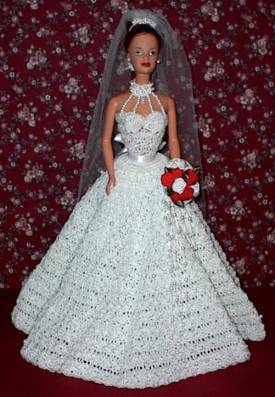 My own design, this gown has pearl beads scattered on it. The collar is connected to the dress with strands of pearl beads. She has pearl earrings on.